From bean burritos, to French toast, to detox juice, Grubhub’s annual survey of trends in ordering pushes into focus just how much the options have increased for those hankering for delivery over the years. Consumers now eat 80% of their meals at home, up from 75% a decade ago, according to coverage in the Wall Street Journal of research from market research firm NPD Group. By most accounts, the proliferation in those options and the increasing proclivity to have something like a peanut butter acai bowl delivered to one’s home is strongly related to the explosive growth in third-party delivery services like Grubhub. In fact, sales totaled 9.8 billion last year for the five largest delivery providers, an increase of 55% over the previous year, according to coverage in Restaurant Business of Technomic data. Technomic is a Chicago-based restaurant management consulting firm. That makes Caviar, DoorDash, Postmates, Uber Eats and Grubhub the third- or fourth-largest restaurant chain in the U.S, according to the coverage. As the market for delivery grows, restaurateurs for whom the business model makes sense (in that Grubhub survey, 40 percent of customers ordered most from fast casual restaurants, followed by quick service and casual dining) — are really no longer chewing on whether to deliver their fares, but how. Recently, Jimmy Johns’ CEO announced that the nearly 40-year-old sub chain would never use a third party provider to deliver its famously fresh, fast-delivered subs – which are available in zones that lend themselves to delivery within five minutes. It backed up its decision with statistics by Service Management Group as well as a study it commissioned with Boston Consulting Group. Some 92% of customers expected their food deliveries within 15 to 30 minutes of placing an order, and the largest delivery services averaged 49-minute delivery times, according to coverage in Fast Casual. Reasons for not using third-party delivery services also often reference the cost of the service to restaurants – which include fees to pick up and deliver the order from the restaurant that can range from 10% to 35% for every single order, according to coverage in Restaurant Business. Or let third-party deliver in? But the move by Jimmy Johns is one that bucks much of the industry. Chipotle launched delivery with DoorDash last year. Taco Bell recently announced it would partner with Grubhub to deliver orders of at least $ 12 (excluding tax) for free, according to Fast Casual. Now at $ 13 billion, the third-party food delivery market is projected to grow at a 13.5% annual rate, according to a recently published report from Pentallect Inc., a food industry strategy firm. The market, which includes firms providing restaurant meals and groceries, is expected to reach $ 24.5 billion by 2022. That’s as the $ 1.6 trillion U.S. food industry grows at 3% per year, according to the research. It’s a quandary that the CEO of Darden Restaurants Inc. – parent company to brands like Olive Garden and LongHorn Steakhouse — perhaps frames best in explaining his approach to testing third-party services to deliver its menu items. Finding that balance will be key. As evidenced by the dramatic decline of avocado toast in this year’s Grubhub rankings, tastes may change, and people will continue to argue about what to order (nearly three quarters of respondents surveyed said they’ve argued with their significant other about it over the last year). But consumers agree on the reasons why they want to order in; they don’t feel like cooking, they want to satisfy a craving or just don’t feel like cleaning up. According to marketing firm ABI, as many as 8 million driverless cars will be added to the road in 2025. Meanwhile, Research and Markets is predicting that in the U.S. alone, there will be some 20 million autonomous cars in operation by 2030. How realistic are those numbers? Cruise is considered a pack leader in a global market that’s anticipated to hit revenue of $ 173.15 billion by 2023. Although it hasn’t yet launched a driverless taxi service (unlike competitors Waymo, Yandex, and Drive.ai) or sold cars to customers, it’s driven more miles than most — around 450,000 in California last year, according to a report it filed with the state’s Department of Motor Vehicles. That’s behind only Waymo, which drove 1.2 million miles. Moreover, it’s repeatedly promised to launch a commercial service this year that would feature as many as 2,600 driverless cars without steering wheels, brake pedals, and accelerators. But it’s been a long and winding path for Cruise since its humble beginnings five years ago, to put it mildly. To get a sense of how far Cruise has come and where it’s going, we spoke with Macneil about Cruise’s ongoing efforts to train cars synthetically, why the company is targeting San Francisco as one of several potential launch cities, and how Cruise fits into the broader self-driving landscape. Vogt can trace his passion for robotics back to childhood. By age 14, he built a Power Wheels car that could drive using computer vision. And while an undergraduate at MIT, he competed with a team in the 2004 Defense Advanced Research Projects Agency (DARPA) Grand Challenge, a $ 1 million competition to develop a car that could autonomously navigate a route from Barstow, California to Primm, Nevada. Above: GM: Fourth generation vehicle, the Cruise AV. Roughly a year after Cruise joined Y Combinator, Vogt teamed up with Dan Kan — the younger brother of Justin.tv’s Justin Kan — and it wasn’t long before they and a small team of engineers had a prototype: the RP-1. The $ 10,000 direct-to-consumer aftermarket kit retrofitted the Audi A4 and S4 with highway self-driving features (much like the open source stack developed by George Hotz’s Comma.ai), with the goal of supporting additional vehicles down the line. But at a certain point, they decided to pivot toward building a more ambitious platform that could conquer city driving. Cruise announced in January 2014 that it would abandon the RP-1 in favor of a system built on top of the Nissan Leaf, and in June 2015, it received a permit to test its tech from the California Department of Motor Vehicles. GM acquired Cruise shortly afterward, in March 2016. Back then, Cruise had roughly 40 employees, a number that quickly ballooned to 100. Cruise had 200 as of June 2017, and it plans to hire over 2,000 new workers — double its current workforce — by 2021. Growth hasn’t slowed in the intervening months. In May 2018, Cruise — which remains an independent division within GM — announced that SoftBank’s Vision Fund would invest $ 2.25 billion in the company, along with another $ 1.1 billion from GM itself. And in October 2018, Honda pledged $ 750 million, to be followed by another $ 2 billion in the next 12 years. Today, Cruise has an estimated valuation of $ 14.6 billion, and the company recently expanded to a larger office in San Francisco and committed to opening an engineering hub in Seattle. Along the way, Cruise acquired Zippy.ai, a startup developing autonomous robots for last-mile grocery and package delivery, and more recently snatched up Strobe, a provider of “chip-scale” lidar technology. Cruise says that the latter’s hardware will enable it to reduce the cost of each sensor on its self-driving cars by 99%. Cruise runs lots of simulations across its suite of internal tools — about 200,000 hours of compute jobs each day in Google Cloud Platform — one of which is an end-to-end, three-dimensional Unreal Engine environment that Cruise employees call “The Matrix.” Macneil says it enables engineers to build any kind of situation they’re able to dream up, and to synthesize sensor inputs like camera footage and radar feeds to autonomous virtual cars. According to Macneil, Cruise spins up 30,000 instances daily, each of which loops through a single drive’s worth of scenarios. It’s basically like having 30,000 virtual cars driving around in parallel, he explained, and it’s a bit like Waymo’s Carcraft and the browser-based framework used by Uber’s Advanced Technology Group. Above: Dan Ammann (right), former president of General Motors, with cofounders of Cruise Automation, Kyle Vogt (center) and Dan Kan.
Another testing approach Cruise employs is replay, which involves extracting real-world sensor data, playing it back against the car’s software, and comparing the performance with human-labeled ground truth data. Yet another is a planning simulation, which lets Cruise create up to hundreds of thousands of variations of a scenario by tweaking variables like the speed of oncoming cars and the space between them. But while its training data remains closely guarded, some of Cruise’s libraries and tools have begun to trickle into open source. In February, it released Worldview, a graphics stack of 2D and 3D scenes with accompanying mouse and movement controls, click interaction, and a suite of built-in commands. In the coming weeks, it will publish a full-featured visualization tool that’ll allow developers to drill into real-world and simulation data to better understand how autonomous systems — whether cars or robots — respond in certain situations. In the real world, Cruise uses third-generation Chevrolet Bolt all-electric cars equipped with lidar sensors from Velodyne, as well as radar sensors, video cameras, fault-tolerant electrical and actuation systems, and computers running proprietary control algorithms engineered by Cruise. They also sport in-vehicle displays that show information about upcoming turns, merges, traffic light status, and other information, as well as brief explanations of pauses. Most are assembled in a billion-dollar Lake Orion, Michigan plant (in which GM further invested $ 300 million last month) that’s staffed by 1,000 people and hundreds of robots. Cruise is testing them in Scottsdale, Arizona and the metropolitan Detroit area, with the bulk of deployment concentrated in San Francisco. It’s scaled up rapidly, growing its starting fleet of 30 driverless vehicles to about 130 by June 2017. Cruise hasn’t disclosed the exact total publicly, but the company has 180 self-driving cars registered with California’s DMV, and three years ago, documents obtained by IEEE Spectrum suggested the company planned to deploy as many as 300 test cars around the country. Currently, Cruise operates an employees-only ride-hailing program in San Francisco called Cruise Anywhere that allows the lucky few who make it beyond the waitlist to use an app to get around all mapped areas of the city where its fleet operates. The Wall Street Journal reported that Cruise and GM hope to put self-driving taxis into usage tests with ride-sharing company Lyft, with the eventual goal of creating an on-demand network of driverless cars. Building on the progress it’s made so far, Cruise earlier this year announced a partnership with DoorDash to pilot food and grocery delivery in San Francisco this year for select customers. And it’s making progress toward its fourth-generation car, which features automatic doors, rear seat airbags, and other redundant systems, and it lacks a steering wheel. Why the focus on San Francisco? Cruise argues that in densely populated cities, difficult maneuvers (like crossing into multiple lanes of oncoming traffic) happen quite often. Moreover, it points out that San Francisco offers more people, cars, and cyclists to contend with — about 17,246 people per square mile, or five times greater density than in Phoenix. For instance, Cruise’s Bolts encounter emergency vehicles almost 47 times as frequently in San Francisco as in more suburban environments like Scottsdale and Phoenix, and road construction 39 times more often, cyclists 16 times as often, and pedestrians 32 times as often. They’ve navigated in and around six-way intersections with flashing red lights in all directions and people moving pallets through the street of Chinatown, not to mention bicyclists who cut into traffic without the right of way and construction zones delineated by cones or flares. The data seems to bear out that assertion. Last year, Cruise logged 5,205 miles between disengagements (instances when a safety driver intervened) in California, a substantial improvement over 2017’s 1,254 miles per disengagement. Assuming Cruise’s tech works as promised, it could be a godsend for the millions of people who risk their lives every time they step into a car. About 94% of car crashes are caused by human error, and in 2016, the top three causes of traffic fatalities were distracted driving, drunk driving, and speeding. But will it be enough to convince a skeptical public? Three separate studies last summer — by the Brookings Institution, think tank HNTB, and the Advocates for Highway and Auto Safety (AHAS) — found that a majority of people aren’t convinced of driverless cars’ safety. More than 60% said they were “not inclined” to ride in self-driving cars, almost 70% expressed “concerns” about sharing the road with them, and 59% expected that self-driving cars will be “no safer” than human-controlled cars. The Rand Corporation estimates that autonomous cars will have to rack up 11 billion miles before we’ll have reliable statistics on their safety — far more than the roughly 2 million miles the dozens of companies testing self-driving cars in California logged last year. For his part, Macneil believes we’re years away from fully autonomous cars that can drive in most cities without human intervention, and he says that even when the industry does reach that point, it’ll be the first of many iterations to come. For all of its successes so far, Cruise has had its fair share of setbacks. It backtracked on plans to test a fleet of cars in a five-mile square section in Manhattan, and despite public assurances that its commercial driverless taxi service remains on track, it’s declined to provide timelines and launch sites. In more disappointing news for Cruise, the firm drove less than 450,000 collective miles all of last year in California, falling far short of its projected one million miles a month. (Cruise claims that the initial target was based on “expanding [its] resources equally across all of [its] testing locations,” and says that it’s instead chosen to prioritize its resources in complex urban environments.) For the sake of comparison, Alphabet’s Waymo, which was founded about four years before Cruise, has logged more than 10 million autonomous miles to date. In a report last year citing sources “with direct knowledge of Cruise’s technology,” The Information alleged that Cruise’s San Francisco vehicles are still repeatedly involved in accidents or near-accidents and that it’s likely a decade before they come into wide use in major cities. Anecdotally, one VentureBeat reporter experienced a close call while crossing the road in front of a Cruise test vehicle in San Francisco. Then, there’s the competition to consider. Cruise faces the likes of Ike and Ford, the latter of which is collaborating with Postmates to deliver items from Walmart stores in Miami-Dade County, Florida. There’s also TuSimple, a three-year-old autonomous truck company with autonomous vehicles operating in Arizona, California, and China, as well as venture-backed Swedish driverless car company Einride. Meanwhile, Paz Eshel and former Uber and Otto engineer Don Burnette recently secured $ 40 million for startup Kodiak Robotics. That’s not to mention Embark, which integrates its self-driving systems into Peterbilt semis (and which launched a pilot with Amazon to haul cargo), as well as Tesla, Aptiv, May Mobility, Pronto.ai, Aurora, NuTonomy, Optimus Ride, Daimler, and Baidu, to name a few others. Vogt believes that Cruise’s advantage lies in its distributed real-world and simulated training process, which he claims will enable it to launch in multiple cities simultaneously. In a GM investor meeting last year, Vogt conceded that the cars might not match human drivers in terms of capability — at least not at first. But he said that they should quickly catch up and then surpass them. 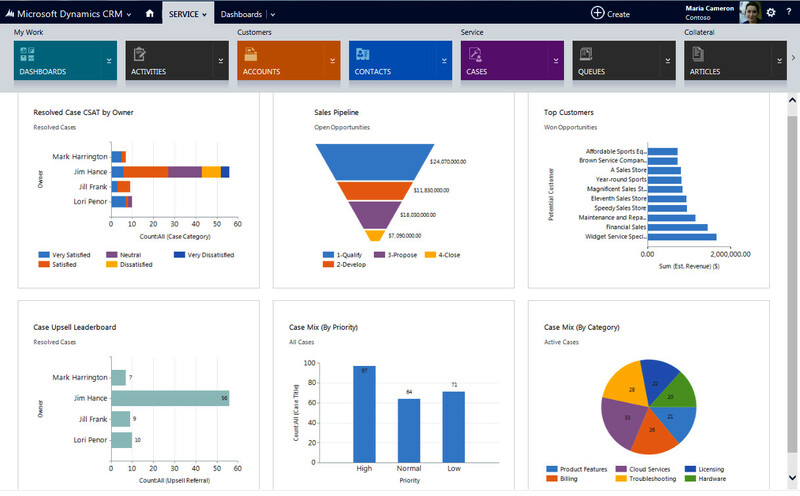 NICE inContact this week released the Spring 2019 version of its CXone cloud-based contact center software, with multiple artificial intelligence-powered updates for smarter customer and agent engagement, plus enhanced customer relationship management integrations. NICE inContact CXone “is the most complete, unified, and intelligent cloud contact center platform available in the market,” said company spokesperson Cheryl Andrus. NICE inContact CXone combines best-in-class omnichannel routing, analytics, workforce optimization, automation and artificial intelligence in one platform, the company said. AI-driven Interaction Analytics and Insights that identify sources of customer frustration and unresolved issues. That pits companies in any industry against each other and against companies in other industries in terms of customer experience. “AI is fast becoming an important element of applications that support customer experiences,” noted Nicole France, principal analyst at Constellation Research. Eighty-three percent of customers who had exceptional experiences with a company were more willing to recommend it, Andrus pointed out, while 81 percent who had a bad customer service experience said they were very likely to switch to a competitor. Customer service has the volume of data that has a consistent structure for AI training, so it’s “a great area for the application of AI,” observed Rebecca Wettemann, vice president of research at Nucleus Research. “That said, delighting customers takes more than a pleasant bot experience,” she told CRM Buyer. The CXone Spring 2019 release includes deeper Salesforce integration. Other new and enhanced CRM integrations in the works will deliver a breadth of options for large and small organizations globally. CXone Routing for Salesforce Digital Channels and New Packages for Salesforce add a global carrier-grade voice channel to Salesforce digital customer interaction channels, in addition to an intelligent routing engine. Agents will handle digital channels from within their familiar Salesforce interface. Skills-based routing combines agent proficiency with customer attributes from Salesforce to find the best customer service agent for each interaction. This speeds up resolution of customer requests, reduces transfers of calls between agents, has options to provide higher levels of service to premium customers, and connects customers with agents who have the skillsets to resolve their particular problems. Further, new CXone Packages for Salesforce extend the Salesforce Lightning Service Console with integrated workforce management, quality management, interaction analytics and customer feedback applications. “The depth of our integration with Salesforce is unique because no other competitor is FedRAMP authorized, nor do they offer a workforce optimization integration with the CRM,” Andrus said. Each integration will provide a unified desktop option between CXone real-time interaction handling, and the CRM software’s customer profile and case management, as well as bidirectional data synchronization. One of the new AI-driven interaction analytics and insights features in the NICE OnContact CXone Spring 2019 release is a patent-pending Frustration Detection feature that apparently identifies issues and agents that contribute to customer frustration. Another is the Unresolved Issue Detection feature. This identifies contact types and agents that contribute to multiple interactions. However, “customer service agents are already under a high degree of surveillance,” France said. Used appropriately, monitoring can be helpful in training, but “using AI to identify, among other things, individual agents who may contribute to customer frustration compounds the potential for misuse,” she cautioned. The following is the fifth in a series of conversations about marketing innovation with Jeff Janiszewski and Ginger Shimp from SAP North America Marketing. In this blog, they discuss how they widened their audience through innovation. JEFF: In our last blog, we talked about how we were able to repurpose our research reports by turning them into audio reports and how it became evident that we could vastly extend our reach by offering an alternate experience to potential customers. GINGER: The biggest difficulty was that we were trying to reach thousands of different customers in just 15 of the more than 26 industries we cover, and versioning all of those reports was a project management challenge. However, we believed that was necessary because audiences are less responsive to a generic message. One size does not “fit all” in business. JEFF: For example, many industries, such as retail or insurance, will refer to their end users as “customers,” but in the public sector they use the term “citizen” or “constituent.” And in the banking industry, they may refer to the end users as “investors.” So even if we’re trying to get the same point across, we still needed to tailor the message – or so we thought. GINGER: We wanted to figure out if that is necessarily true. We also knew that we had a bit of a gap in our content strategy because we wanted to engage an audience who otherwise do not consume our content and whom we have a difficult time reaching due to their pre-conceived notions about SAP. We began looking for an innovative way to create an effective universal message that would avoid the problem of versioning and would also appeal to a new audience. The answer, we believed, was storytelling. JEFF: Before there was streaming video, or the Internet, or television, or radio, or books, or even clay tablets, there was a tradition of storytelling. And when you think about it, whether it’s a fairy tale or a parable or a lecture or a song or a folk tale or any other kind of story, the purpose is not only to inform or educate an audience but also to give them an experience. GINGER: There’s a difference between learning by being told not to touch a hot stove and learning from actually touching a hot stove. A mere transfer of information is not as impactful as having an experience. On the other hand, having an experience, like touching a hot stove, can be a little dangerous. Stories bridge that gap. They allow you to experience something at a safe distance and have an empathetic catharsis. Basically, I’d rather watch the movie Jaws than actually be eaten by a great white shark, and (if you’ll tolerate my circular logic) I know that because I’ve seen the movie Jaws. JEFF: Marketers use stories all the time, often in the form of testimonials or customer success stories. But we also know that not all stories are equal. Some stories like Marcel Proust’s Remembrance of Things Past, are a complete bore, despite being well-written. On the other hand, certain stories, such as Hansel and Gretel, The Wizard of Oz, Frankenstein, and so on, have a timeless mass appeal. GINGER: So, getting back to our marketing conundrum, we wanted to give our audience more than information. We wanted a universal story with mass appeal that would deliver our message through a vicarious experience, and also appeal to our audience’s ears and not their eyes. However, we still needed to understand how we could create that mass appeal to reach those customers in all those disparate industries. JEFF: Ironically, we discovered that truly universal stories are those that are the most specific. Rather than create some sort of generic everyman story, it’s actually better to create a story that happens with specific character in a specific place and time. GINGER: Think of the movie Casablanca. Like most people, I’ve never been to Casablanca or Morocco. I wasn’t alive during WWII. I speak no French and very little German. I don’t like gin. I have no idea what “letters of transport” are, and I could only dream of being as elegant as Ilsa. Nonetheless, it’s one of my favorite movies. Audiences are actually more inspired by things that are unfamiliar to them because it intrigues them. And if the storyteller has done his job right, the audience will be able to draw their own meaningful conclusions from the narrative, and that will be more powerful than anything you could tell them explicitly. You have to let them experience it for themselves, at least in a vicarious way. JEFF: And so we settled on creating a fictional podcast to deliver our message. That in itself wasn’t an innovative idea; it had been done before. But, it was new to us and, given the growing interest in podcasts and the fact that our target audience has a desire to consume information in a different way, it made a lot of sense. GINGER: Understanding that we had limited bandwidth and no experience creating a podcast, we partnered with Column Five, a creative services firm. After numerous brainstorming sessions to develop a detailed creative brief, we delegated the production phase to them. The result is a nine-episode story titled Searching for Salaí about a supposed time-traveler who claims to have been Leonardo da Vinci’s assistant. Whether he’s telling the truth or merely a charlatan is the substance of the story. JEFF: Spoiler alert here – as far as we know, time travel isn’t physically possible. So the story might seem strange for a technology company, but we’re pretty sure audiences will understand it’s a work of fiction. GINGER: Our goal was to amuse and inspire audiences to think about the human-technology interface in a sympathetic way. We wanted to give potential customers a break from their daily grind and call attention to the possibilities of the intelligent technologies, services, and industry expertise central to digital innovation. JEFF: Given that creating a fictional podcast was new to all of us, I’m glad to say that we managed to get it done on time and within our budget. We learned a lot in the process. I certainly gained a greater appreciation for creatives. There are a lot of brilliant people in creative fields; the trick is finding the right ones and getting out of their way. GINGER: Except we still needed to communicate our message to them. This wasn’t art for art’s sake, this was work for hire. Once again, we have a complicated technical message that we’re trying to put out, and it’s important to pass that information through the agency to the talent as efficiently as possible. JEFF: And it’s even more challenging with a podcast, because you’re not dealing with a single creative; you’re dealing with an entire group of creative people who need to work together. GINGER: We think in the end we created a compelling podcast that accomplished the goal of attracting attention and inspiring our audiences. We also think the novel approach of reaching them through their ears rather than their eyes was effective. JEFF: Still, we must admit that we hedged our bets. Once we had their attention, it seemed important that we gave them some explicit content about our product, so we wrote two blog series to accompany the podcast. One was a straightforward discussion of the technologies, and the other was a semi-fictional discussion supposedly written by a character from the same world as the podcast. JEFF: We’re tracking results and things are looking positive, and we can say at the very least that we should be able to leverage the lessons learned into greater innovation next year. As we said from the beginning, it’s an iterative process. GINGER: And in our next blog we will reflect more on marketing innovation, offer specific advice on what we learned in this process, and maybe even give some hints about what we’ll try next. As of today (Wednesday April 17) you can now quickly and easily change the type licensing for your Autonomous Database from BYOL to a new cloud subscription or vice-versa. It’s as easy as 1-2-3. So assuming you already have already created an autonomous database instance, how do you go about changing your licensing? Let me show you! Notice in the above image that, on the righthand side, the console shows the current license type as set to “Bring Your Own License” which is often referred to as a BYOL-license. If you want more information about what is and is not covered within a BYOL-license then visit the BYOL FAQ page which is here. All that’s left to do is click on the blue Update button and the new licensing model will be applied to our autonomous database instance. At this point your autonomous database will switch into “Updating” mode, as shown below. However, the database is still up and accessible. There is no downtime. When the update is complete the status will return to “Available” and the console will show that the license type has changed to “License Included” as shown below. Congratulations you have successfuly swapped your BYOL license to a new cloud subscription license for your autonomous database with absolutely no downtime or impact on your users. Semiconductor, electronics and equipment manufacturers today face a number of logistics and supply chain challenges that could be overcome by systems providing a secure, tamper-resistant, single source of truth. One obstacle is data security barriers between suppliers, shippers, manufacturers and test houses, an impediment to achieving optimal product quality and regulatory compliance. Additionally, inefficient and inadequate processes for tracking goods make it more difficult to isolate shipping problems, track faulty parts and verify product authenticity. Counterfeiting has become a serious problem that costs US-based semiconductor manufacturers $ 7.5 billion annually. Blockchain functions can help alleviate many data sharing pain points in manufacturing. Blockchain’s distributed functionality, bundled security measures, and associated features such as smart contracts have the potential to help manufacturers quickly trace goods, manage records transparently, and automate supply chain processes and payments. No isolated blockchain platform would solve all of these problems on its own. But, when combined with other solutions and applied to particular use cases, blockchain has the potential to optimize operations and foster an environment of trust and collaboration among consortium members. Distributed and immutable system of record. With a distributed system of record in the blockchain network, there is no “central” data store controlled by one organization. The distributed ledger provides all participants with a view into the data, thus increasing transparency, data distribution timeliness, information sharing, and data access. Security also improves as there is no single central data store open to external attacks. Once data is inserted onto the chain, it cannot be easily changed. Security and Trust. Blockchain integrates best-of-breed cryptographic mechanisms to guarantee the digital identity of the network participants and secure the privacy of the data stored to enable role-based data access. It brings trust to a potentially trustless environment without the need for a centralized third party. Smart Contracts. Smart contracts are embedded business logic that can be added to a blockchain. They enable the automation of many processes and the secure handling of contracts. In each stage of manufacturing, blockchain could be applied in a variety of use cases to expedite processes and alleviate security issues. A few examples that merely scratch the surface of what may be possible follow. In pre-production, manufacturers may implement blockchain solutions for Collaborative Planning, Forecasting, and Replenishment (CPFR). These systems monitor inventory levels, enabling suppliers to replenish supplies before they run low. The expensive, proprietary B2B networks used today could be replaced with blockchain as the common sharing protocol, using non-proprietary or public networks. Suppliers may also combine blockchain with IoT sensors on shipping containers to provide a tamper-resistant record of shipping conditions. This could be used to verify that temperature and humidity tolerances for chemicals and equipment have not been exceeded during transit from the supplier. The identity and materials in components and subcomponents of manufacturing equipment could be collected on a blockchain to verify compliance with environmental and health regulations. During production, a manufacturing process machine can be registered on a blockchain with a unique identity; its performance and maintenance history can be recorded. A maintenance service provider could then be automatically notified, via a smart contract, when a predictive maintenance alert is written, allowing repair of machines before they fail. In the distribution stage, customers could search the ledger for a product’s complete history, reducing counterfeiting and solidifying the origin of properly sourced goods. When a faulty product is identified, the manufacturer may search the ledger to quickly locate the supplier or bad test results and alert all receivers of the defective product. With blockchain, manufacturing can become a more collaborative process among suppliers, manufacturers, and customers. Blockchain can help streamline the supply chain and inventory replenishment, improve tracking and regulatory compliance, and reduce counterfeiting. Augmenting blockchain with IoT enables use cases like predictive maintenance and monitoring of goods during transit. Blockchain is not yet mature and its business value still needs to be proven. However, it is poised to help manufacturers decrease costs and fraud, and provide customers with faster, more secure delivery, increased visibility, and consistency. TIBCO is an active member of SEMI’s Smart Manufacturing Technology Community, which hold regular meetings on this and other topics. Join now to get regular updates. For more information on blockchain use cases in manufacturing, please see these resources. This article first appeared on SEMI.org. There seems to be a divide happening in finance between CFOs and their accounting teams. In a recent survey, 70% of CFOs declared that they ultimately trusted the numbers they were reporting to the greater business and its stakeholders, while only 38% of accountants could say the same. This disparity calls for a deeper look into financial reporting and begs the question: Why? The role of the CFO has become broader and more strategic over time. The people who traditionally filled these roles were often CPA-trained with extensive experience in areas like public accounting or corporate finance. Now, a solid understanding of accounting rules is the barrier to entry. CFOs are increasingly expected to be strategic partners to the CEO, possessing a deep understanding of operations and an ability to connect back-office functions to larger company initiatives, like driving company growth. This is a good thing. We’re often discussing how important it is for finance to act as a partner to the business. But it seems like there might also be some drawbacks. Without being intimately familiar with the rigor of reporting activities, after doing them as an accountant, some CFOs lack a natural appreciation for the effort and margin for error that exists at month-end. CFOs must find ways to harness the knowledge and power of their accounting and finance teams to balance their newfound responsibilities with the mandatory reporting and forecasting duties of the more traditional CFO role. People. Hire the right people. This means professionals with skills beyond basic bookkeeping who are also equipped to analyze financials through the lens of business strategy. Spend the necessary time and money to recruit, train, and develop this type of talent for the future of your business. Process. Invest the time needed to understand legacy processes and be humble enough to admit that processes might need to change. Understanding best practices and striving to meet them in your operations will set you up for success. This might require a larger culture shift, but it’s worth it in the long run―and your teams will respect your leadership to get processes where they need to be. Technology. Adopt finance automation tools that have best practices built in and make the transition less arduous, while also allowing for scalable, sustainable growth and change. By leveraging leading technology, you’ll find newfound trust in the numbers and richer visibility into both accounting processes and talent. The CFO’s role is expanding, often suspending them between different but equal responsibilities: managing risk and driving strategy. The more traditional activities need to be prioritized within the larger context of their jobs, and we’ve outlined some ways for that to happen while still acknowledging and participating in the larger mission to drive business strategy alongside the CEO. The equation is this: People + Process + Technology = Trust. While it’s obviously not as simple as 1, 2, 3, this broad outline should give you some ideas for how to begin bridging the trust gap between accountants and finance leaders. For more on this topic, please read Mistrust in the Numbers: The Global Scale Of Financial Data Inaccuracies. This article originally appeared on BlackLine.com and is republished by permission. Have you ever wanted a simple easy way to capture data from your customers, partners or employees? If so then you are going to love Microsoft Forms Pro, the newest member of Microsoft’s Power Platform! Microsoft Forms Pro is a simple yet comprehensive survey solution that allows businesses to easily capture and analyze feedback to improve customer, employee, and product experiences. I decided to challenge myself to learn how to use this new project and write about it in a blog. This tool can give you some great input and data from your customers which can help you make more informed business decisions and be proactive rather than reactive. Anything that gives you more information from your customers is a good thing! This post is the first of a projected three-part series. Part one covers creating a survey. Part two will cover creating a quiz. And finally, in part three, I will cover sharing your survey or quiz as well as viewing and analyzing the data. Find out how easy it is to create surveys in Microsoft Forms Pro. Microsoft Forms Pro extends the capabilities of Microsoft Forms in Office 365. However, the basic Forms app included with Office has limited a limited toolset. Microsoft Forms Pro features additional functions, including advanced branching, theme customization, individual tracking links, data connection with Dynamic 365 workflow automation using Microsoft Flow, Response data is available in real time, but is also available in PowerBI for further analysis. The public preview is available to anyone with a Microsoft work account, including both Microsoft Office 365 commercial customers, and Dynamics 365 customers. Forms Pro is expected to be a paid service, once generally available. I found Microsoft Forms Pro to be fairly straightforward and easy-to-use. Microsoft Forms Pro is a quick and easy way to send surveys to your recipients. You can then gather and analyze the responses, using the data to enhance your customer’s journey. Once you use this “simple, yet comprehensive” tool, you’ll realize how valuable the data you attain is! This blog post will walk you through the steps for creating a simple survey. The first thing to do is to visit the Forms Pro website to sign up for the preview. Once you do that, you will see two options, create a new survey and create a new quiz. Let’s take a look at creating a new survey, so click on that option. My screen shows a few surveys and quizzes I have created. If you previously used Microsoft Forms, those forms will be migrated over to Forms Pro. Continue to our blog and learn more about how easy it is to create surveys in Microsoft Forms Pro. The global ride-hailing market was reportedly valued at more than $ 61 billion in 2018, a figure that could rise to nearly $ 220 billion by 2025. With Lyft recently becoming the first ride-hailing company to go public and Uber preparing to follow suit, calling the e-taxi industry a big business is something of an understatement. But if there is one ongoing complaint from the people powering this burgeoning industry, it’s that the pay is dismal. After expenses, taxes, and other deductions, the average ride-hailing driver reportedly earns very little. A recent report also indicated that Uber and Lyft will often apply surge pricing to riders but not pass the increased fees on to the driver. Against this backdrop, some third-party services have emerged to try to help drivers earn more. Pittsburgh-based Gridwise claims it can help drivers earn as much as 39% more per hour by leveraging vast swathes of data to tell them where they should be, and when. Founded in 2016, the Techstars alum has expanded to 18 cities across the U.S. so far. This week, it launched in San Francisco and San Jose, and it also announced a fresh $ 900,000 in funding from Swallow Point Ventures, Quaker Capital, Innovation Works URA (Pittsburgh), and a host of angel investors. The company has now raised $ 1.7 million. Gridwise collates data from myriad third-party APIs, including traffic services, social media, weather, events, and local news, as well as leveraging crowdsourced data from its own network of drivers, who install a dedicated mobile app on their phones. Some 40,000 drivers use the Gridwise app, the company said, and each receives alerts for the best times and days to drive based on factors like airport congestion, whether it’s raining, and pickup locations that get hot due to major events, such as concerts. Gridwise offers a free basic service, which includes notifications based on airport flight data, local events, and weather, along with performance features that track drivers’ mileage, time, earnings, and trips. For $ 10 per month or $ 96 per year, they can also upgrade to Gridwise Plus, which provides access to additional features, such as 24-hour airport graphs, real-time flight status, and other types of alerts. In some regards, Gridwise is a little like PredictHQ, a startup that emerged from stealth last year with $ 10 million in funding. PredictHQ also aggregates data sets from various third-party sources and throws its own proprietary and “hard to find” data into the mix — and then bundles all this into a single API that it licenses to companies such as Uber, Domino’s, and Booking.com. The main differentiator with Gridwise, of course, is that it targets drivers directly. Moreover, it garners data from drivers across multiple ride-hailing services — including Uber, Lyft, and Via — and feeds this information back into the Gridwise data stream. “We have a much deeper focus on ride-share use cases, and we possess validated outcome data from our driver network to support building models for predicting demand across multiple ride-share services,” Gridwise CEO and cofounder Ryan Green told VentureBeat. It’s also worth highlighting another startup, called Cargo, which has been helping drivers earn extra cash by selling stuff to passengers from their cars. It’s a completely different proposition from Gridwise, of course, but the goal of helping drivers earn more money is the same. Uber officially partnered with Cargo last summer, before the latter went on to raise more than $ 22 million from notable investors that include Peter Thiel’s Founders Fund. So Gridwise, it seems, is onto something — the ride-hailing industry is big and getting bigger. And although the company’s seed extension is modest, it speaks volumes about the side industries cropping up around the mobile-focused transport networks offered by the likes of Uber and Lyft. While the extra funding will certainly help Gridwise expand across the U.S., where it currently counts seven employees in its Pittsburgh HQ, Green said that the company plans to invest in R&D efforts for the oncoming autonomous ride-hailing revolution and also has at least one eye on markets elsewhere. “After expanding our driver network in the U.S, we plan to launch into international markets,” Green added.